Do you like mining on a cobble stone generator watching half of your blocks get sucked into the lava? Of course not! Void Block changes the game when it comes to sky survival. Your blocks and items will fall from the sky into chests surrounding the main island. With those materials, do as you please! Want bonus materials? Go check out the shop! What else is there to do in Void Block you wonder? Well, if you want to enchant something, you need to complete mini-games. Completing mini-games earns you lapis lazuli to use for your enchantments. 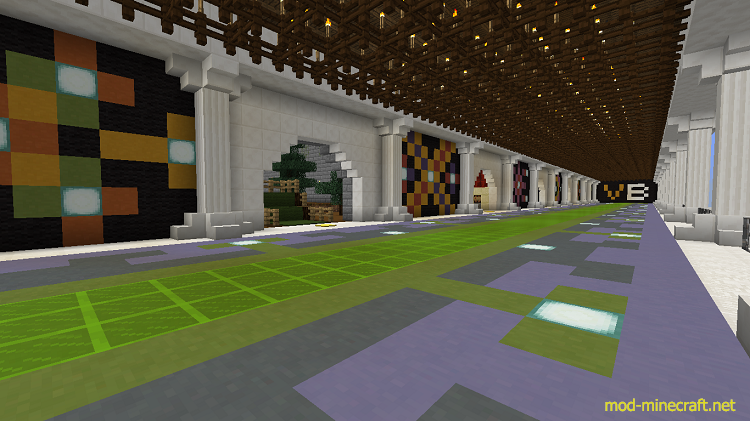 Completing all 10 mini-games gets you a backstage tour of Void Block! Up for a challange too? Complete tasks in the Task Book. Tasks range from crafting compasses, to constructing a polar bear exhibit! Blocks and items rain down from the sky into chests surrounding the sky island. Mobs, plants, specialty items, and specialty blocks are put in the mystery chest over time. A book of tasks to completed is given to you at the beginning of the map. 10 exciting and puzzling mini-games to be completed for Lapis Lazuli. 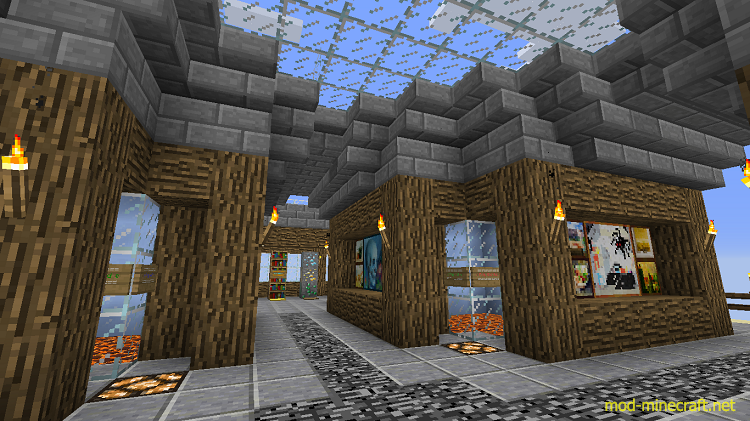 A shop where extra items and blocks can be obtained. 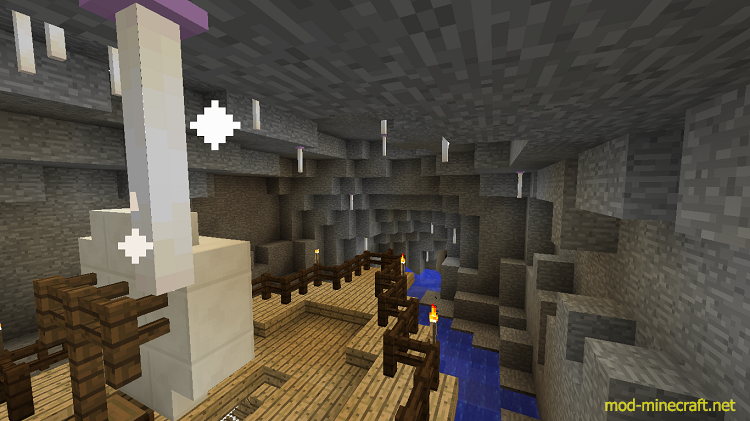 Options to toggle keep inventory, mob griefing, and Slimes spawning everywhere. Random items don’t come twice, so be sure to put any extras you have in a safe place. Only have one person in the mini-game room and code room at a time. Complete tasks in order. Tasks were put in the order that you get random items. Turn on ‘Slimes Spawn Everywhere’.